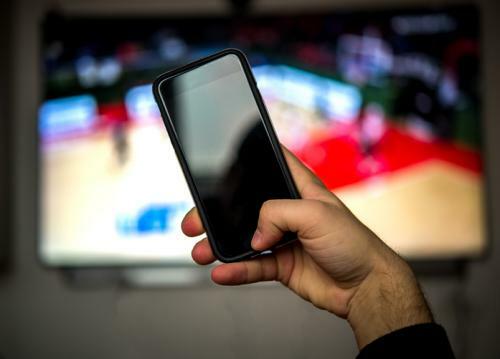 Just imagine charging your phone while watching your favorite IPL match on television, without moving an inch from the couch or connecting to a charger. Not just phone, you will be able to charge other digital device like tablets and laptops too. All this could become reality in near future with development of a tiny device that can harvest energy in Indian labs. Nanoenergy harvesters can convert stray mechanical and magnetic energy from surrounding vibrations emanating from television sets, radio and other such sources into electricity. This concept isn’t new but it has not become popular since the process is costly and yields low voltage power. Researchers at the Central University of Kerala, Central University of Tamil Nadu, and Mahatma Gandhi Universityin Kerala, have fabricated a new nanoenergy harvester that can generate power sufficient to run a small device. By scavenging energy from various magnetic energy sources like radio, television and power transmission lines, this device can supply power upto 400 milli volt, which is higher than other energy harvesters available till date. “We have shown application potential of new nanoenergy harvesters as the next generation energy devices. It will be used to make self-powered portable devices with integrated nanoenergy harvesters as its power source,” researchers say. The energy harvester is a single unit made of many copper iron oxide tubes, each tube wrapped in a material called KNN. All the tubes are embedded in an alumina membrane. KNN is made of potassium, sodium and niobium ethoxides, and is capable of converting energy from mechanical pressure into electricity. Cobalt Iron oxide, the material that makes the innermost part of the nanoenergy harvester can convert energy from a magnetic field into electricity. Each tube is 250nanometer wide and 4micrometer long. It is wrapped in a layer of KNN. The whole unit (nanotubes embedded in alumina membrane) works together to produce electricity. The innermost cobalt iron oxide layer converts magnetic energy from nearby devices such as radio and television into electricity. This exerts mechanical pressure on the alumina membrane, which acts on the outermost KNN layer, which as a result, generates more electricity. The method to synthesize these nanoenergy harvesters is cost-effective and highly energy efficient, the researchers say. Moreover it is lead-free, which makes it environment-friendly. Nanoenergy harvesters can harness energy from sources like radio frequencies that are otherwise lost unutilized, and hence, in the future, they could be used as additional sources of power.